As hard as it is to believe we are now well into Spring with summer fast approaching! If you haven't already, then now is the perfect time to look into exhibitions, galas and country fairs in your area. 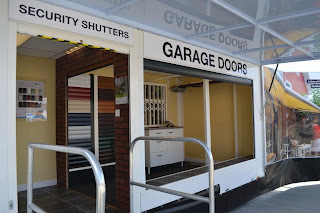 Exhibiting at local events is a great way to advertise your products and build up your company's profile in and around your community. Already planning an event? Book the SWS trailer and make a real impact! 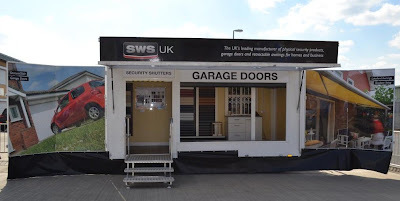 The SWS show trailer is the perfect tool for any outdoor event, whether that's an organised exhibition or even an open day at your premises.The trailer is self-contained and features many life-sized operational versions of the products including the SeceuroGlide automatic roller garage doors, SeceuroGuard gate, SeceuroShield 3800 security shutter and the Vertico lateral running door. It is also equipped with eye-catching imagery and point of sale material that is sure to give you a memorable presence at any event. SWS will personally deliver the trailer to any location within the UK and even help you with setting up. They will then collect it at a time/date agreed with you. If you would like to hire the show trailer, please contact your regional sales manager or a member of the Marketing department on 01524 772413 for availabilty and further details.